Fiona is the founder of Brand Illumination. She has assembled a highly skilled team of brand experts and digital marketers. Together they work collaboratively with a range of organisations from start-ups, to large corporates, government agencies and not-for-profits. 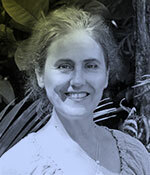 Having worked in a variety of corporate roles and as a facilitator, strategist, coach and systemic practitioner with a broad range of organisations – including Zurich Insurance, Coles, Toyota Australia, Commonwealth Bank, CoreLogic, RSPCA, Krispy Kreme, Woods Bagot, Volvo Car Australia, several NSW Government Agencies, APP (subsidiary of Transfield) and UnitingCare – Fiona became fascinated with what it takes for a brand to be relevant, connected and meaningful to all its stakeholders. Fiona takes a holistic approach to brand strategy believing that the people and culture within an organisation are essential to an organisation having the capacity to deliver on it’s brand purpose. Using systemic principles that reveal elements previously unknown, unseen and unheard, Fiona and the team have developed a specific methodology to uncover the deepest truths of brands, and to engage in deep, rich conversations with stakeholders. 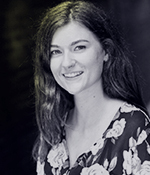 Fiona is known for her ability to listen intently, synthesising numerous viewpoints and inputs and connecting the dots that allow clarity to emerge. Her work in strategic consulting, brand insights and culture transformation is well regarded; she brings a combination of sensitivity and commercial nous to each assignment and will speak up in the best interests of the organisations she works with, even when that requires having conversations that reveal uncomfortable truths. Fiona is the co-author of Core Confidence, a book which resulted from her work over the past 15 years working on culture and leadership in organisations which led her to examine the on-going inhibitors to female progression and the lack of female leaders at senior levels. At the same time, Fiona had heard men voice concerns that despite an illustrious career, they were not being the fathers they wanted to be. It seemed the system was unintentionally failing everyone. With co-author, Kate Boorer, Fiona founded Pearman and Partners, a consultancy that is dedicated to creating inclusive workplaces that are future ready. Fiona is also a partner with Acumen Global Partners, a collaborative group of senior culture and leadership consultants, who support the leadership and culture aspects of large scale transformation for organisations in Asia, Australia, New Zealand and the US. All her roles, inform and expand what Fiona offers to clients in Brand Illumination – she is able to draw on vast resources, methodologies, thinking and perspectives which ensures that Brand Illumination clients receive a whole system perspective, this makes their brand and digital strategy far more powerful. She has found that organisations are strengthened when individual, team and organisational purposes align – together this leads to stronger commercial outcomes. Emily Young is passionate about all things digital, from social media marketing to holistic brand CRM strategies. She takes pride in maintaining a fantastic work ethic and connecting with clients to go above and beyond expectation. With experience in offline media and a unique international background, she has a well-rounded understanding of how various elements work together to present your brand at its best. Emily believes that building a solid relationship is key in achieving fantastic results. She creates tailored, holistic brand and digital marketing strategies across a range of verticals. Experience includes marketing automation and email campaigns, Google Adwords strategy and implementation, CRM, social platform marketing and platform reporting. 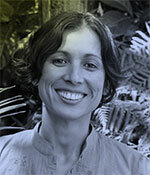 Judith Love is a graphic designer and web developer with many years’ experience in print and digital publishing. She supports clients with technical digital expertise and builds websites with strong SEO foundations and clean and clear aesthetics, managing their ongoing growth with stability and flexibility at their core. She is equally at home building marketing collateral and branding as she is building websites and producing video content for clients. 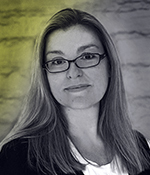 Lisa Silva is a Presentation Designer – a creative at heart who combines her technological knowledge, industry experience and design flair to transform traditional content into visually engaging presentations and professionally streamlined documentation. Lisa is a perceptive listener, with an ability to represent complicated ideas in beautiful, simple and engaging forms and has consulted with Brand Illumination on various projects, providing diversity and personal attention to their clients’ needs. 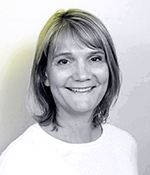 Heidi Todd easily creates rapport and strong working relationships with clients, their stakeholders and colleagues. Heidi’s interest lies in the way humans interact, what they really want from a particular service or product and how to communicate with them in a way that feels meaningful and authentic. 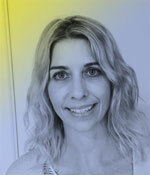 Heidi has had extensive marketing, communications, PR, media and research experience across a range of industries. She has worked with many professional services firms, including PriceWaterhouseCoopers, Grant Thornton, Holman, Fenwick & Willan and leading London law firm Linklaters in both in-house and consulting roles. Working for a range of clients across many industries, Heidi’s talents include accessing creative insights, design and directions of projects such as stakeholder engagement initiatives, facilitating conversations and focus groups, analysing and synthesising findings, interviewing and writing content and reports that provide depth and clarity. Kellie Romeo is a person who makes things happen and is as highly valued for her ability to drive collaborative projects as she is for her 17 years’ experience in the advertising and marketing industry. Strategic management of digital and social media tactics is Kellie’s specialty and she works closely with clients to clearly establish their desired campaign outcomes and to track results. 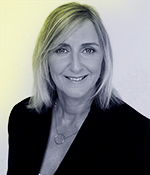 Having worked with some of the top multi-national consumer and business brands in APAC including Logitech, D-Link, Viewsonic, Symantec, Peoplesoft and AMD, Kellie is highly experienced in planning and buying media both nationally and internationally; and rolling out campaigns at a high level encompassing digital, outdoor, print, TV and radio. Nicole has spent over 13 years specialising in helping micro, small and medium sized businesses plan, develop and roll out marketing initiatives to grow their business and their reach across a range of channels. She brings broad experience in traditional marketing initiatives, whilst embracing the developments, changes and challenges of online and social mediums. Nicole enjoys planning and implementing campaigns across multiple disciplines including email marketing, social media, SEO, content marketing, DM and print communications. Her strength is in the details – planning, developing and on-the-ground implementation of strategies and following up with analysis of results to tweak campaigns moving forward.